AdGoi Mobile, Banner advertising network details. AdGoi is a mobile advertising provider that connects brands, developers and publishers in order to have a worldwide audience and reach consumers from all around the world. They use RTB/DSP to run campaigns and to maximize the inventory revenue. With an optimized targeting engine, the Advertisers are promised one of the best chances in reaching large audiences. AdGoi needs no pointless setups and the platform is designed so that anyone who didn’t have contact with this industry before, is able to use it. 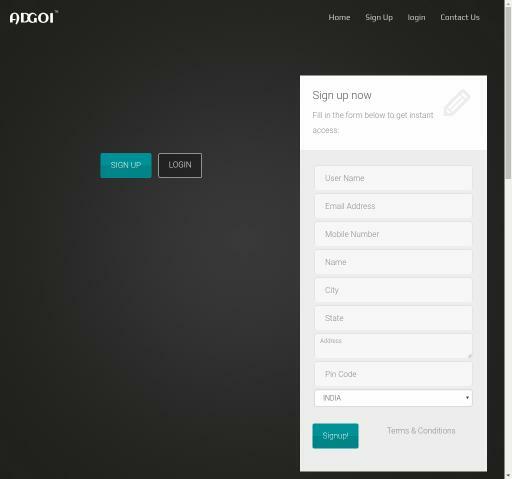 If you have any questions before registering in the AdGoi Network, reach the Information section for additional details. Once you create an account, you will get a dedicated account manager to help you reach your desired revenues with AdGoi.